Another Pyrrhic victory for EU: forcing Russia to abandon the South Stream project. Can empty gas pipes become a reality for Europe? Why? It is known that a Pyrrhic victory achieved at too high a price is tantamount to defeat. This old saying is fully consistent with the events taking place now in the European energy market. Unfortunately, persistent political confrontation between the EU and Russia strongly encouraged from another side of the Atlantic, has overwhelmed Europe's traditional abilities of prudently aiming for our own economic benefit, which is being more often replaced by unassured expectations of the fulfilment of predictions and promises. Now you can hear and read a lot of enthusiastic reports that Europe had demonstrated firm principles insisting that the pipeline "South Stream" should meet the requirements of the Third Energy Package that made Russia retreat from its plans. Although our media tries to ignore the fact that, first of all, it was Brussels and Washington victory over Bulgaria, which was forced not to give a bureaucratic permission for the construction of the pipeline "South Stream". The biting irony of the situation in Bulgaria is that this country known as one of the most economically underdeveloped countries of the EU already has got a list of such "victories" over projects. Despite the fact that Bulgaria needs much more than many other members of the EU to develop its energy industry this country experienced freezing such energy megaprojects as the Burgas–Alexandroupoli oil pipeline for transportation of Russian and Caspian oil from the Bulgarian Black Sea port of Burgas to the Greek Aegean port of Alexandroupoli and a nuclear power plant "Belene". It happened again when gas pipeline "South Stream" was being added to this list. However not only Bulgaria but also other countries of the EU would have to pay a high price for this "victory". Before that other South-Eastern European countries as well as Bulgaria actively prepared for the possibility to pour into their economy a powerful flow of Russian gas. But now they are expecting real actions of Brussels to implement the European Energy Security Strategy released as far back as in May. Just a week after an unexpected statement of the Russian President Vladimir Putin on termination of the project "South Stream" the European Commission held an emergency meeting of energy ministers of the EU countries, where it was announced that allegedly there are alternatives to Russian gas. These alternatives have been published on December 9 in the joint statement of the European Commission and the EU member states whose interests are affected to varying degrees by cancellation of the project "South Stream". Ultimately such a statement is important for the European Commission in order to demonstrate an outward unity. As to the EU countries participating in the meeting this statement was aimed at somehow diverting public attention from the problems around the project "South Stream" and also showing for their citizens that they would be willing to seek a replacement of the former energy development plans. Together with other countries Romania hastened to join to the statement in order not to miss an expectable funding from Brussels on this occasion, although this country long ago had refused to participate in the project "South Stream". At the same time Hungary that was always in the first row of the project supporters, declined to sign the statement obviously realizing a hypocritical nature of the situation. In fact what the European Commission proposes now as alternatives to mitigate and in some countries even as means of outliving the "victory" over the project "South Stream" raises a lot of doubts both experts and anyone else who is familiar in general with present realities of the energy market. The proposals of the European Commission put forward for compensation of abandoned gas deliveries by "South Stream" previously scheduled to begin in the fall of 2015 are especially unrealistic regarding the use of oil and gas resources of the Black Sea and the Eastern Mediterranean. The development of these gas resources was mentioned only once in the European Energy Security Strategy in the context of projects of the distant future to be realized after 2020. Moreover, there is no any data yet properly proving a commercial value of potential gas resources of the Black Sea. A verification of hypotheses about the presence of substantial volumes of gas on the Black see shelf would require many years of costly works. As to the use of gas resources of the Eastern Mediterranean it could be a realistic scenario if we take into account the natural gas reserves in the Israeli shelf, where two new large gas fields were discovered in 2009-2010. It is the Tamar gas field with reserves of 274 bcm and the Leviathan gas field located 130 km off the Mediterranean port of Haifa, which has estimated gas reserves of 481 bcm considered now as one of the largest newly discovered gas fields in the world. However, Israel is planning to deliver gas from these fields not towards Europe but in the opposite direction. Israel has already signed preliminary agreements with Egypt and Jordan that envisage exporting gas to the amount of up to 70 billion USD within the next 15 years. It is impossible to estimate a complete potential of the sea shelf gas reserves near Cyprus because they have not been properly explored yet. But this task encounters a very difficult political obstacle - even for exploratory drilling first of all it is necessary to conduct a territorial delimitating of the sea shelf of Cyprus and to define the rights to use the natural resources of the island. This problem has not been solved for forty years since when Cyprus was divided into three parts: Greek, Turkish and another part under control of British military forces. Besides that, it is necessary to take into consideration separately that transport and logistics infrastructure for gas deliveries to Europe from the Eastern Mediterranean would cost dozens billion Euros. Neither Cyprus nor Greece has got such financial capabilities. Ultimately, it would take many years to extract and bring this Mediterranean energy to Europe. As you can see, the gas supplies from the Black Sea region and the Eastern Mediterranean should be attributed to the very distant future. The question is when will it happen? But it is even more difficult question: up to what extend could these opportunities be really implemented? The second alternative proposed by the European Commission for compensating shortages of energy because of the cancellation of the project "South Stream" concerns future development of LNG terminal network. The necessity of LNG terminals is being discussed permanently and, of course, public attention to this topic is quite justified. Nevertheless, if we imagine that such a modern network of LNG terminals would be created, the question immediately arises: where to get gas volumes necessary for its effective usage. In my post on October 23 I already wrote that the European LNG market is losing out to its competitors who more actively attract suppliers of LNG to Japan, China and other Asian countries. It is still unknown when the US will start delivering to us a long-promised shale LNG. Consequently, there is a high probability that the planned terminal network in significant extent will accommodate LNG from Russia. It is noteworthy that there is an idea to build a gas hub together with LNG terminal at the end of a new pipeline "Turkish Stream" near the Greek-Turkish border for distribution of Russian LNG further along the Mediterranean. By the way, LNG from Russia may appear in the Mediterranean even before completing the construction of the gas pipeline "Turkish Stream". For example, recently Russia has negotiated possible supplies of LNG to Bahrain in Persian Gulf. Therefore, it will come as no surprise for you to learn in future that instead of Russian gas failed to be transported by the pipeline "South Stream" Europe would buy Russian LNG. As saying, what we had gone from, then to the same we will return! However, in fact it will be a return with the transition to a significantly higher price level taking into account LNG production and transportation costs. One more, the third alternative of replacement of undelivered Russian gas proposed by the European Commission is to be well-known to us. This is the "Southern Gas Corridor" consisting of the pipeline TANAP from Azerbaijan via Turkey and the pipeline TAP through several countries alongside the coast of Adriatic Sea. Now there is a supplementary idea of creating a so-called "vertical corridor", which will consist of cross-border gas pipelines linking GTS in Romania, Bulgaria and Greece that will allow these countries in the future to connect with the TANAP pipeline and, it is not improbable - to the pipeline "Turkish stream" as well. An encouraging information about the project TANAP is that after its completion scheduled for 2018 Europe will receive 10 bcm of gas per year from Shah Deniz gas field in Azerbaijan. However, an important question arises that its capacity is insufficient since Azerbaijani gas would be enough only to compensate for less than sixth of volume of undelivered gas by the pipeline "South Stream" with an annual capacity of 63 bcm. Meanwhile the statements about possible doubling of "Southern Gas Corridor" capacity up to 20 bcm a year do not stand up to scrutiny, as all the arguments break against boundaries of the existing resource portfolio. It is obvious that a significant increase in volumes of gas deliveries without an adequate increase in resource portfolio would result in deteriorating the security of gas supplies. Therefore, the latter is hardly possible in case of using only Shah Deniz field. 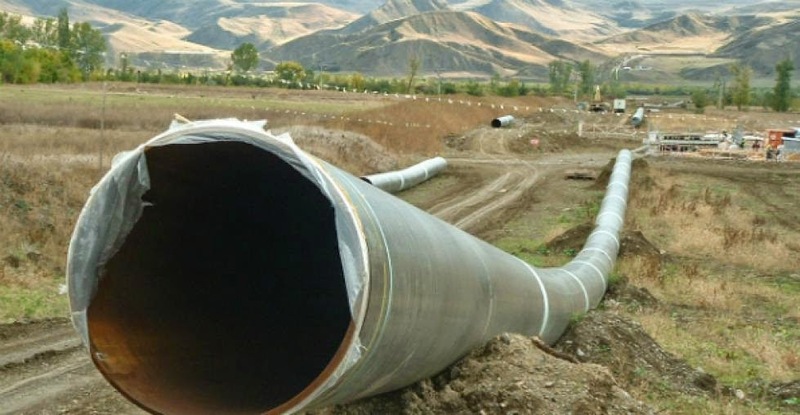 There is no reasonable answer where the pipeline TANAP can get gas in addition to supplies from Azerbaijan. Availability of additional gas supplies from Turkmenistan and Iran remains in the row of unrealistic ideas. Now deliveries from Turkmenistan are mostly aimed at the Chinese market providing more than 88% of pipeline gas to this country. It is unlikely that Turkmenistan is sufficiently interested in the construction of the Trans-Caspian offshore pipeline in the direction of Azerbaijan, which requires very large investments. It is equally important that such an offshore pipeline under the Caspian Sea must get certain environmental and other permits from all Caspian states including Russia. As to Iranian gas, you will remember that it would require settling a whole complex of problems in relations with this country. As a result, we can see that all the alternative proposals of the European Commission actually do not bring nearer, but on the contrary postpone a stable growth of gas supplies to Europe. This is especially true of South-East part of the continent. Why does it happen that the struggle for European energy security sometimes looks like as the struggle against this security, when our policy makers are trying to convince us that less gas supplies to Europe in the longer term would be better (!? ), than much larger gas supplies, which could start as early as next year?